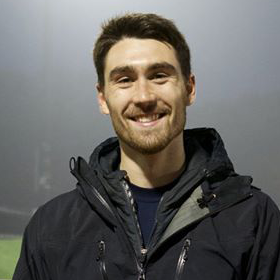 Athletisme Ville-Marie is proud to announce the hiring of Nicolas Marion as youth/junior development coach. Marion, who currently leads teams at CEGEP Vieux Montreal and College Notre Dame, previously coached at Club Spartiates. “We are very excited to welcome Nicolas to AVM and have him lead our group of youth and junior development athletes. He’s a young and motivated coach who cares deeply about the athletic and personal development of the athletes under his charge,” notes Jim McDannald, co-founder of Athletisme Ville-Marie. “I am proud to join Athletisme Ville Marie. It’s very rewarding to develop young athletes with a fun, but structured training environment and foster a culture of excellence in sport on an individual and team level. I feel that it is a privilege to positively impact so many young athletes,” said Marion. Marion is currently studying at the Université du Québec à Montréal. He is trained as a Club Coach, part of the Competition-Introduction context of the NCCP, and is currently taking part ESIM’s “Montreal Coaches” program.